Mrs. Marsh will be taking a “medical leave” from bookworming this month to have some surgery… we wish her well and hope she gets back with us soon! We are looking forward to welcoming Mrs. Bosworth from Parkman as an official bookworm very soon! 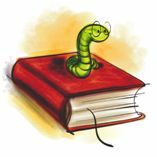 Bookworms note that we are starting signups for volunteers to help with Arts Alive on June 8th… please contact Mr. Boomsma right away if you are interested. You’ll have a blast! April 8 -14 is National Library Week! April 16-20 is vacation week–a good time to catch up on some reading! Guilford–Over 100 third and fourth graders from Piscataquis Community Elementary School in Guilford were challenged to create an advertisement for Valley Grange as part of their annual “Newspapers in Education” Program. This is the fourth year the Grange has sponsored the program. Students have an opportunity to become “Honorary Assistant Publicity Directors” according to Walter Boomsma, Program and Publicity Director for Valley Grange. Thanks to WABI-TV5’s support of community and school events, these young scholars not only learned about print advertising, they got to experience a bit of television as well during the assembly conducted by Boomsma to announce the winners. Connor Chase, Anna Morin, Anna Fagan--this was as close to the girls as Connor would stand. 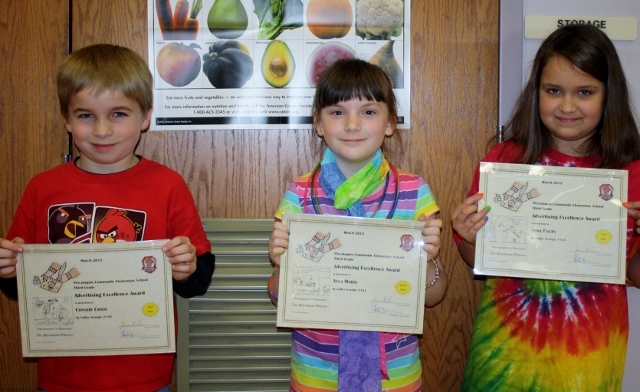 Third Grade winners announced at the recent school assembly included Connor Chase (3rd), Anna Morin (2nd), and Anna Fagan (1st). 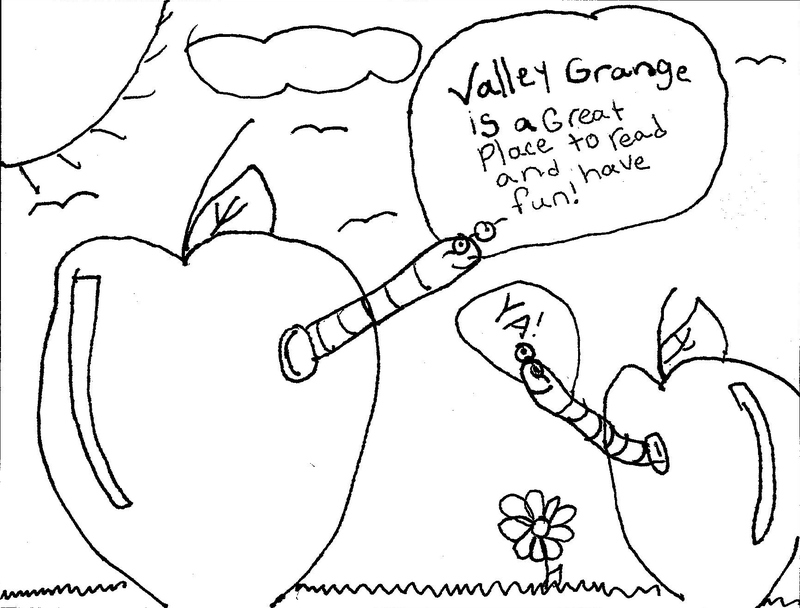 Anna’s first place drawing included apples with bookworms announcing “Valley Grange is a great place to read and have fun.” Fourth grade winners included Olivia Riitano (3rd), Caitlyn Drinkwater (2nd), and Caroline Goggin (1st). Caroline explained to WABI TV-5 news reporter Diana Bosch that she loves to read and had based her ad on her family. All of the winners refused to give an acceptance speech with varying degrees of enthusiasm, but most were fascinated at the idea of seeing themselves on TV. The ads selected as first place winners will appear in the Newspapers in Education supplement of the Piscataquis Observer on March 28th. In addition, winning ads are used on the grange’s promotional material throughout the year. The Power Of The Press Lives On! While some talking heads are predicting the death of newspapers, Valley Grange can testify to the fact that the power of the press lives on! When we started our “blistered fingers knitters” promotion and Yarn Drive a few months ago we never really dreamed that our program would result in one knitter who lives in New Jersey joining the effort. 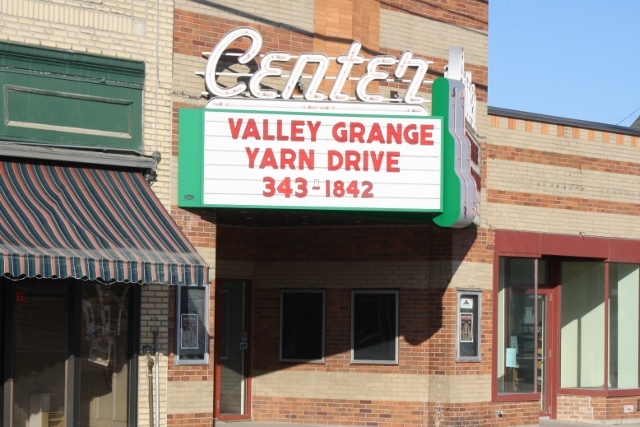 Things started with a feature article written by Shelia Grant for Hometown Newspapers… and the yarn started pouring in. Most area newspapers were happy to list collection points and help spread the word. Then just as collections started slowing down Bill Pearson of The Piscataquis Observer decided to showcase the story and included some follow-up information. We’re pleased to welcome Roberta to the knitter’s circle and look forward to receiving her first batch of hats when she visits the area this summer. We also recently took delivery of 97 pairs of mittens from Debbie Burdin. Thanks to the improving weather we’ll be arranging storage until they are needed next fall. 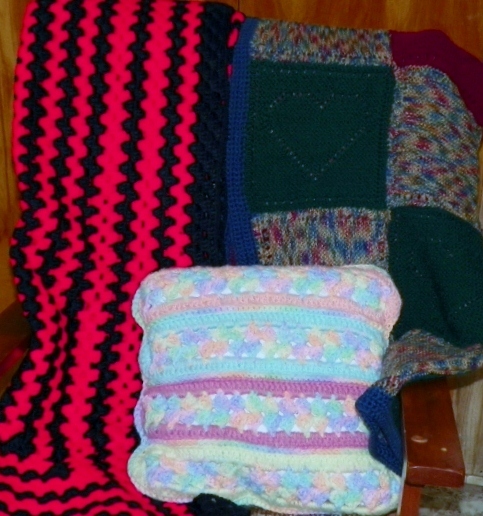 All our mittens and hats go to Piscataquis Community Elementary School, SeDoMoCha, or the Piscataquis Santa Project. We’re still collecting yarn for a few more weeks, so visit a bin near you if you have some to donate! Thanks to our local area newspapers, writers, and reporters for helping us help our communities and kids! We even made the marque of Centre Theatre! The power of the press lives on! TV Stars at PCES Assembly! Advertising is the ability to sense, interpret… to put the very heart throbs of a business into type, paper and ink. 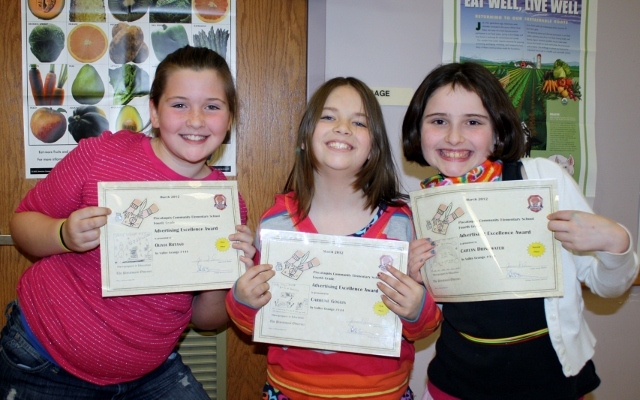 And that’s exactly what third and fourth graders at Piscataquis Community Elementary School did with Valley Grange’s recent “Newspapers in Education” Contest. The ads they designed captured the “heart” of Valley Grange and our relationship with the school in particular. Selecting two ads to print is always a challenge–this year no less so! Every kid who participated will receive appreciation magnets as part of an assembly this Friday, March 23rd in the school cafeteria at 9:45 AM when the selected ads will be announced. Those ads will be featured in the March 28th edition of The Piscataquis Observer, posted on this site, and used in other promotional material the grange prepares throughout the year. The GrowMe collaboration now has a blog! Visit http://growmehelp.wordpress.com for all sorts of resources and information… Volunteers will find activity and volunteer guidelines. It’s a work in progress, so check back regularly–you can click through from here or visit the site directly. GrowME week starts Monday with volunteers working in Guilford and Dover Foxcroft! Don’t forget that everyone is invited to the Eggstravaganza at Valley Grange on Friday, March 16th. We’ll have a community potluck supper at 6 PM and a fun program at 7 that includes a virtual chicken! This is a family friendly event to celebrate our accomplishments–we’ll have worked in 34 classrooms with approximately 500 kids. We’ll also be appreciating agriculture and it’s role in our lives and communities. All are welcomed! Words for Thirds – Dictionary Update! Even though distribution of dictionaries is long completed for this school year, the work continues! 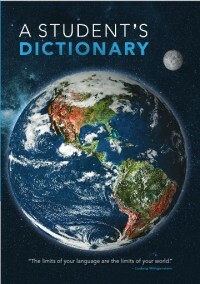 We recently asked a group of teachers to review our dictionary selection to be sure we are providing the best choice for the teachers’ and students’ needs. After a careful review of the books available , the team chose a different dictionary than the familiar red one we’ve been using since the beginning of our program. The new one actually is more “kid friendly” and offers pronunciation help plus has better “guide words” and even more encyclopedic information in the back. We’ll be working on a transition plan for next year since we still have a small inventory of the red ones left. No doubt it will take a while to get used to the new color, but we believe this is a positive change for all involved. You can check out some of the details and see some sample pages here. The March Dictionary Project Newsletter features an article regarding protecting children’s identity when photographing or filming dictionary presentations. Valley Grange is proud to be a trail blazer in this area and we especially appreciate the cooperative spirit we’ve experienced with local teachers and administration. The newsletter article refers readers to an article written by Walter Boomsma offering some suggestions for how presenters can document their presentations without creating issues for children and parents. One of the standing grange committees is called “CWA” which is short for Committee for Womens’ Activities. Our CWA Committee is raffling off two quilts and a pillow (see photo) to raise funds in support of their projects and causes. Tickets are available at our meetings or directly from Judy Ricker, committee chair. Judy will also be in charge of our April Program so that will be a good meeting to attend and a great opportunity to buy your ticket! The program will start with a potluck supper at 6 PM and meeting at 7 PM on Friday, April 20th. The winning raffle tickets will be drawn during our May 18th meeting, so don’t miss out! You can email Judy for more information or to reserve your raffle tickets! Karen’s Kolumn is written by Karen Dolley, R.N. and Grange Friend… we appreciate her knowledge and her willingness to share! This month’s topic is especially timely and important… it looks like the cold temperatures have arrived! The drug known as “bath salts” has been in the news a lot recently. This substance is NOT used for soaking in the tub! Bath salts are made for and intended for substance abuse! Bath salts are also commonly referred to as Monkey Dust, Ocean, Ivory Wave, Vanilla Sky, and Purple Wave. Bath salts are often packaged as a household product and labeled “not for human consumption”. They are often sold in plastic baggies. In the human brain, the chemicals in bath salts act like powerful stimulants and are very similar to amphetamines-speed, and ecstasy. Bath salts look like a white or light brown crumbly powder. They can be snorted, smoked, injected or swallowed. There are severe side effects reported with bath salt use. Some of these include agitation, an increased heart rate, anxiety, nosebleeds, increased blood pressure, muscle spasms, hallucinations, suicidal thoughts, aggressive behavior, paranoia, panic attacks, seizures, loss of appetite, dehydration, and memory loss. Bath salts can cause death from kidney failure, heart failure, or stroke. Symptoms can last for at least four or five days and they can come and go without warning. People who use bath salts report a strong urge to use more, even when they did not enjoy the effects previously. It is highly addictive. The long-term effects are not known! The effects on a fetus are not known! On September 28, 2011, the State of Maine enacted a law making the possession and trafficking of bath salts illegal. On October 21, 2011, the Drug Enforcement Agency enacted an emergency measure which makes possessing and selling the chemicals in bath salts illegal. The Drug Enforcement Agency and the United Sates Department of Health and Human Services will take a year to determine whether bath salts should be permanently controlled. Any time a person puts an uncontrolled or unregulated substance into their body, the effects are unknown and can be dangerous. Many law enforcement officials believe the chemicals in bath salts are made in China and India and are packaged to be sold over the internet or to be placed in convenience stores and smoke shops. The best decision….Do not use bath salts at all! For more information on bath salts visit www.maine.gov/dhhs/osa, www.dea.gov, www.MaineParents.net, or the Northern New England Poison Center at www.mmc.org. If you suspect someone is under the influence of bath salts, do not confront them. The person may become violent or paranoid very quickly. Call 911 and report you suspect someone may have used bath salts.